These digital collections feature maps and fire insurance plans held by UVic Libraries and our community partners. 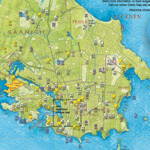 This collection consists of digital versions of several print community maps produced through a collaborative process between various community groups and the Common Ground Community Mapping Project and later with the Community Mapping Collaboratory (CMC) at the University of Victoria. These maps are part of the Green Map movement which began in 1995. Since then, 900 communities in 65 countries have mapped their home places. 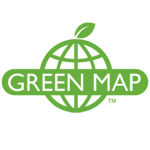 Green Maps use standard icons to identify community-minded sites and activities. These maps primarily span the dates 1846-1876. They show the development of the territory from the two founding colonies until after the province joined confederation. The collection also includes a few earlier maps collected by the Colonial Office in response to the San Juan dispute. The Hudson's Bay Company had the exclusive right to trade with First Nations in what is now British Columbia throughout most of the 19th century. 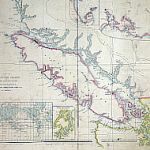 These 100 maps provide a graphic view of the development of the province from 1842 until the 1860s when the company’s trading in its two BC colonies declined. Most maps included are manuscripts which are hand drawn and coloured. Green Map System has engaged communities in 65 countries in mapping green living, nature and culture with adaptable tools and award-winning icons. 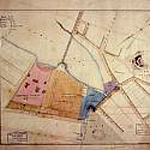 This collection includes a variety of these maps, received as digital files. Since 1995, the Green Map® System has promoted inclusive participation in sustainable community development worldwide, using mapmaking as the medium. The fire insurance plans (FIPs) from 1885 to 1916 were created by Charles E. Goad and Company to assist insurance underwriters in determining fire insurance risk. 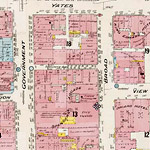 This digital collection, drawn from the BC Archives collection, contains all of the 1891 plans, the full set of 1903 plans (with revisions to 1909 indicated), and the surviving plans from 1911 (revised to 1913). The number of plans required expanded to cover the city grew from 31 in 1891 to over 170 in 1913.